This is nice. Very well narrated and the story is catchy. Especially for my son who loves spiders. Good story about a spider. 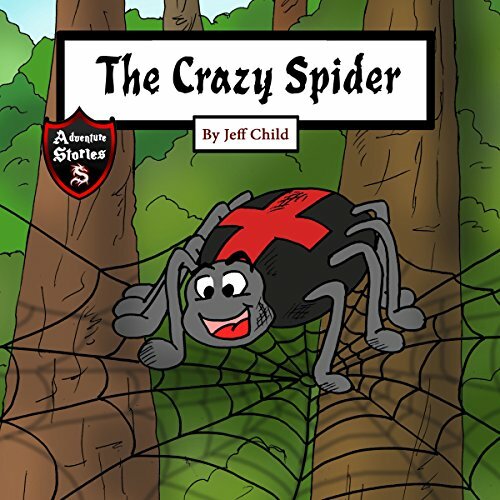 A very good and creative story about the adventure of a spider. Perfect for your kids who loves bugs or specifically spiders. My son is a spider enthusiast, and is obsessed with them! We got him this book for his birthday and he loves it. It has a nice story and very good narration which helps explain the life of a spider in terms my four-year-old understands. I love this Spider book and my third graders enjoy the story and the fun way the information is narrated. Very good for me. What a delightful story! My 4 year old grandson loves it. It's educational while hilarious at the same time! I love it. This is a book that my first graders will love! My seven year old granddaughter and I laughed our way through the story. Love this audio book! Professionally, great mentor book for story writing! Personally, love the way my oldest with a HUGE fear of spiders even liked it. My toddler boy, who is obsessed with bugs, loves this book! We checked it out before deciding to buy it for him. This audio book is really good. Really cute book for kindergarten and first grade. Really cute book for kindergarten and first grade. It has real facts about spiders and is super cute how it makes you love learning about them and not be afraid to learn and possibly like, new things. My 5 yr old grandson loved this book! My 5 yr old grandson loved this book! A good audio book for those who might be scared of spiders and those who are curious about spiders.